There are many home renovation projects that can increase the comfort and visual appeal of a dwelling. Owners who plan to sell their home in the future, however, prefer to focus on projects that will return a healthy profit at closing. Here are 5 renovation projects that positively impact a home’s resale value. It’s easy for real estate agents to convince buyers to bid higher on properties with more bedrooms. Redesign the attic to easily add an extra bedroom without committing to a major construction project. This strategy works well for smaller homes or those in neighborhoods with multiple homes for sale. Converting a basement into a bonus room or den is another way to use extra storage spaces to increase property value. Outdated, stained, or damaged flooring repels potential buyers. High-quality, stain-resistant carpets in neutral colors are the best options for those looking to sell. Other alternatives include hardwood floors and easy-to-clean laminates. Avoid shag carpets, bright colors, or unusual patterns so the property appeals to a wide variety of potential buyers. 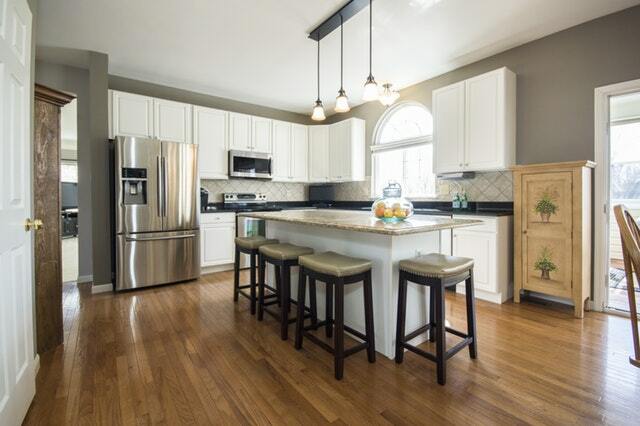 For real estate agents, kitchens rank high on the list of value-building remodeling projects. Most home shoppers base their decision on the condition of the kitchen. Update stale or out-of-fashion paint, install new cabinet doors, refresh countertops, and replace old appliances to encourage a higher sale price. Renovators with limited funds should focus the majority of their dollars on kitchen projects. After the kitchen, bathrooms have the greatest impact on home values. As long as the plumbing is in working condition, bathroom renovations don’t require a large investment to add value to the home. Refurbish dingy sinks and bathtubs, refresh existing grout, and update fixtures for a quick boost before putting a home up for sale. The exterior of a home is just as important as the inside. Investing in landscaping increases curb appeal and can make a home more interesting to certain buyers. For example, adding a dog run in the backyard is an excellent perk for pet parents. In neighborhoods with older residents, a small deck or hot tub can be an eye-catching extra. Strategic use of home renovations can improve living conditions and increase property values. Your trusted mortgage professional is ready to help you if you want to access some of the equity in your home for more costly home improvements.